This is the sedan sister of the 30.0 AC. The same dimensions (9.70 x 3.35 m), the same qualities. 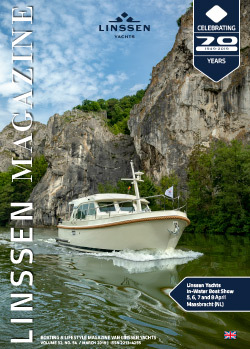 The 30.0 Sedan is also an ideal boat to explore the inland waterways, rivers, canals and lakes of Europe. However, this little topper is also perfect for taking the long way round along the sheltered coast. 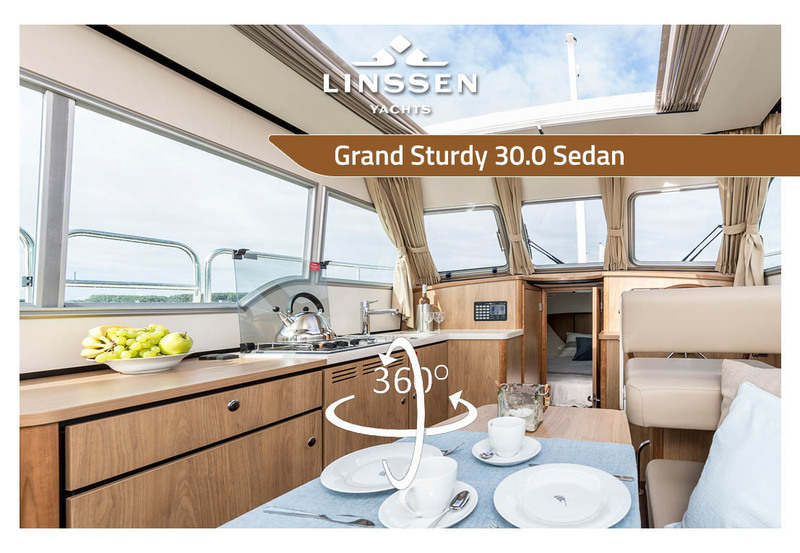 The 30.0 AC and 30.0 Sedan are two stable and easily manoeuvrable yachts on which you can sail all inland waterways, rivers, canals and lakes of Europe. However, taking the roundabout route along sheltered coastal areas is also possible with these latest Grand Sturdy models. The Sedan version has only a fore cabin with sleeping space for two people, various cupboards, a toilet and separate shower. In both the AC and the Sedan, the Easy Sleep Convert System makes it possible to create two extra sleeping berths by converting the saloon bench into a double bed. A characteristic feature of the 30.0 Sedan is the open cockpit with the extended Linssen Longtop® saloon roof, provided with LED lighting. In the Longtop® at the helmsman’s position, an optional electric Variodeck sliding roof can be fitted. The open cockpit with bench and integrated section/side table is the place where those on board have access to the swimming platform with deck shower.